Crystal reflexology uses the actual crystals to perform the reflexology. I also place certain crystals on or around your body, if appropriate. These crystals are formed in the earth. They are mined in various countries and can be rough or smooth, from different levels within the ground. As such each one vibrates at it’s own unique frequency. Often we are drawn to certain crystals, and we don’t know why, although if we were to hold a selected crystal a while we could ascertain feelings and thoughts as to what it means for us. This may be completely different to how another person reacts to the same crystal. 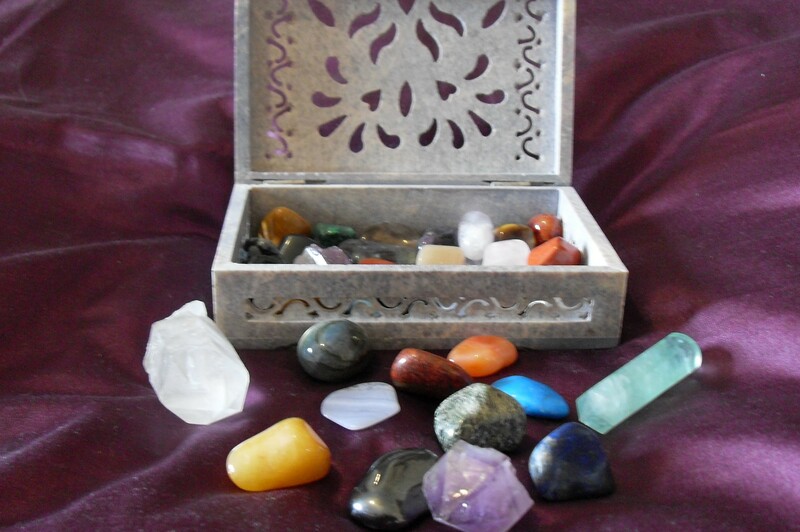 As such I will present you with a number of crystals and allow you to choose one you are drawn to for the treatment, and any others you think may be beneficial to your treatment can be chosen to place around you or I can dowse to see what suits you. Using a crystal to perform the reflexology, as well as placing the crystals on, around and underneath the body, can bring about a completely different reflexology experience for the recipient. You may feel a wave of peace, or knowing. You may experience a release of something you’ve been holding onto for a while. The effects for each person, from each crystal, are always different. You will be able to keep your ‘chosen’ crystals (up to three) after the treatment. 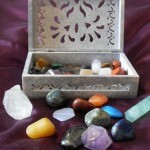 Crystal reflexology is definitely more luxurious, and makes a wonderful unique gift. No Replies to "Crystal reflexology"